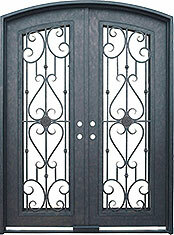 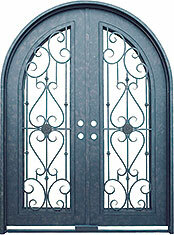 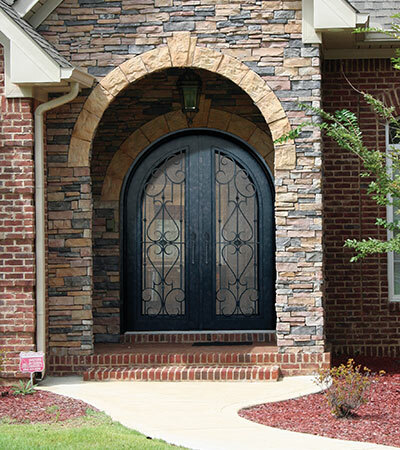 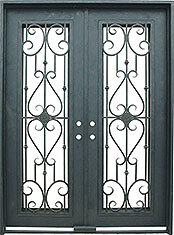 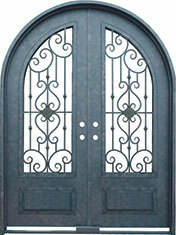 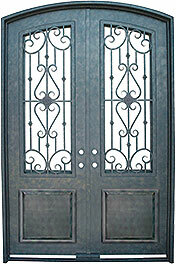 72" x 96" Radius Double Door (p/n 6047-72). 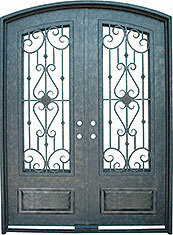 Smooth curves and linear patterns distinctly detailed with the artisan blacksmith’s hammer denote The Roma Series. 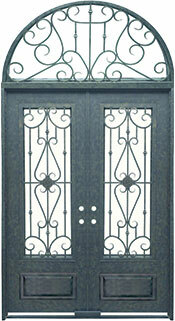 Their distinctive look is perfectly at home in an urban loft, a country estate or mountain lodge.